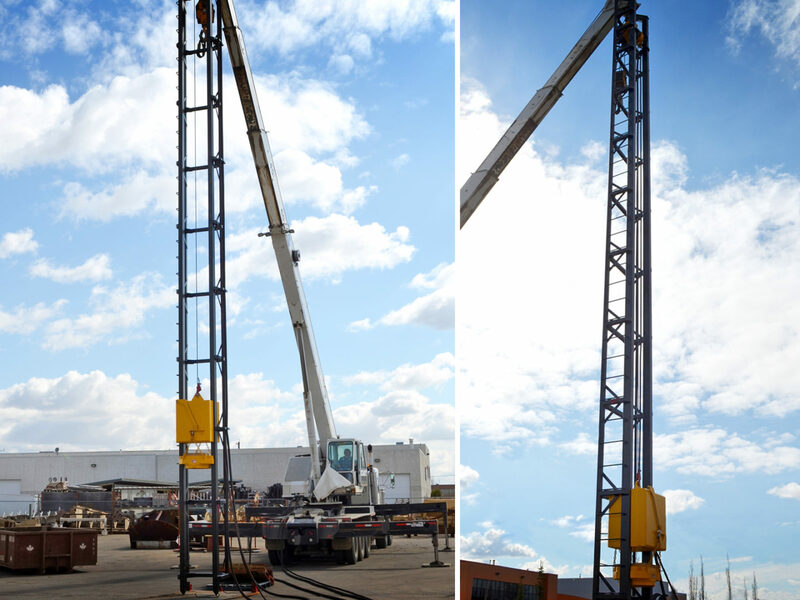 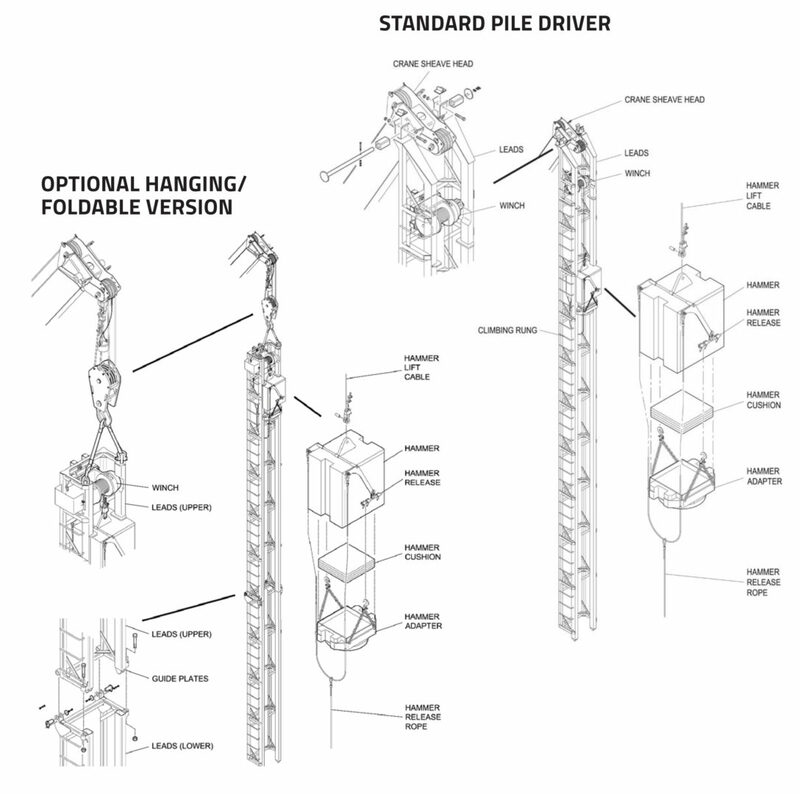 The Weldco Hydra-Lift Pile Driver allows quick and easy conversion your WHL crane application into a pile driver application and vice versa, onsite. 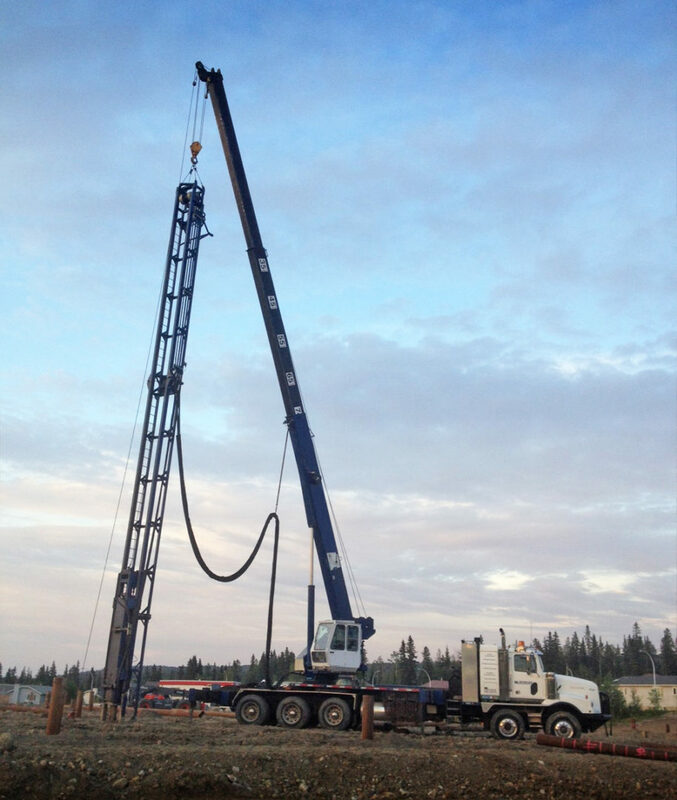 The addition of a pile driving hydraulic circuit with heavy duty quick couplers for pressure, return, and case drain, facilitates this quick field conversion of the crane. 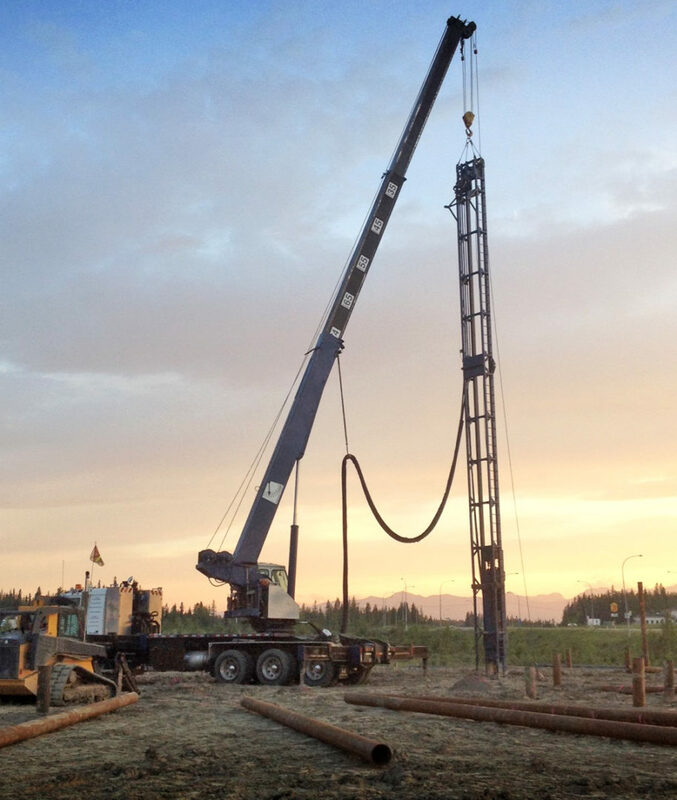 55.5 ft leads easily accept 40 ft lengths of standard piling material.